We love The Acacia Strain. From their early days spent cutting their teeth in the New England music scene, to their position now as one of Rise Records’ best acts, life has been nothing short of a wild ride for this band, and next month they’ll mark the beginning of yet another new era together when their Above/Below 7″ arrives in stores. It’s the first release for the outfit since principle songwriter Daniel “DL” Laskiewicz quit the band, and it only takes a few seconds of hearing the new material to realize their better now than they have been in years. Even though I love the addition of new guitarists Devin Shidaker (ex-Oceano) and Richard Gomez (ex-Molotov Solution), there is a part of me that was very hesitant to press play on the new song from The Acacia Strain when it arrived in my inbox today. The band has been in a prolonged state of evolution over their last few releases, and as exciting as the new members are for the group it was hard to not be nervous about the hole Laskiewicz left in the group from the creative standpoint. I swallowed that fear, and as I felt the lump in my throat begin to subside my fingers used the mouse to scroll over to the play button located below the lyric video for “Above.” Moments later all the anxiety I felt subsided as a riff-heavy onslaught of deathcore came roaring through my speakers with an intensity the band hasn’t produced since recording Continent and I was instantly plunged into the world of The Acacia Strain once more. By the time it ended I had sweat on my brow and a smile on my face because I knew, without a doubt in my mind, that this lineup is exactly the change The Acacia Strain needed to progress. You can stream “Above” at the end of this post. 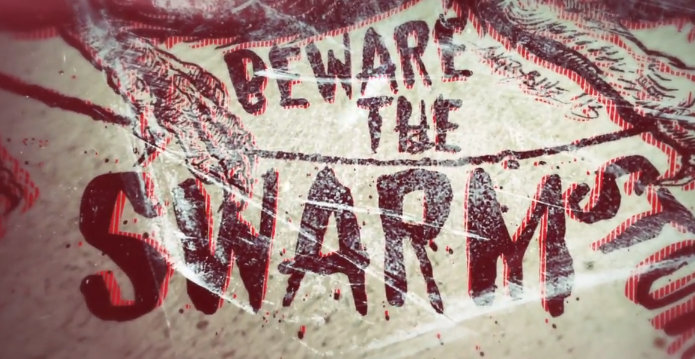 According to the lyric video, The Acacia Strain will release Above/Below as a 7″ on November 12. Comment below and let us know your thoughts on the new single.